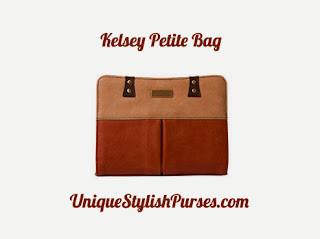 Rust faux leather along with complementary latte and cocoa piecing combine to create the smart and chic Kelsey for Petite bags. Contrasting dark brown stitching, brushed antique brass rivet accents and a single deep pleat on the front further burnish her uptown vibe. Perfectly matches our Braided Handles (espresso). This shell requires the Miche Petite Base Bag - sold separately.